Do you love Halloween? It's one of our favorite holidays. We love it so much that for 25 years we hosted a Halloween Open House where we served home-made chili, clam chowder, root beer, hot chocolate and cider along with donuts. We had a house full for hours and estimated that we served 300 people that one night. It was great, and we're sorry if you missed it, but you have lots of other options for Halloween fun. Do you like Corn Mazes? Here are seven of them, from north to south county. When: Sept. 29-Oct. 20 hours are Monday-Saturday, 9 a.m to 8 p.m., closed Sundays; Oct 22-30 hours are 9 a.m. to 7 p.m.; Oct 31 hours are 9 a.m. to 3 p.m.
Open: Sept. 22-Oct. 30; Monday-Friday, 3:30-8:45 p.m.; Saturdays 10:30 a.m. to 8:45 p.m.
Did you notice that McCoard's was missing from the list? Sadly, construction on the new Lake View Parkway kept them from throwing their Fall Festival. They are hopeful that they will be able to get back to Halloween fun next year. There are so many Halloween activities that it can be hard to chooses where to spend your time. Here are a couple of our favorites places to go. Check the website for prices. Enter "Halloween5" when you purchase online to get $5 off each ticket price. 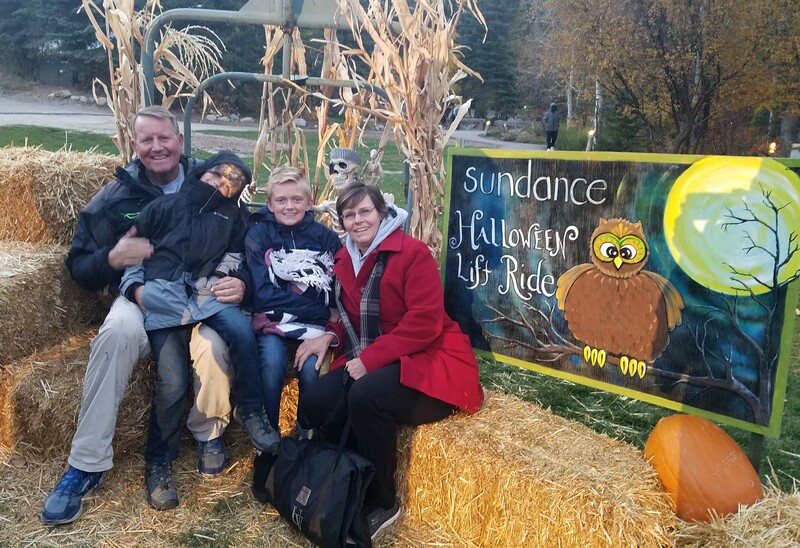 CLAS turns the Provo river into a Halloween adventure cruise through which you can take a riverboat ride. It's a great family activity. Time: 6:30 - 9:00 pm Mon-Thurs, with cruises leaving every 30 mins. 6:30-10:00 pm Fri & Sat. The Daily Universe published 17 activities around Utah, which included the Pedal Provo Ghost Tour, the only bicycle ghost tour in the country! This is going to be my next Halloween activity.